This Day School followed the screenings of The Second Mother and Güeros earlier in the programme. The day explored themes and approaches to filmmaking across Latin America with a full screening of Las acacias (Argentina/Spain 2011). These three films from Brazil, Mexico and Argentina represent the output of the three biggest film industries in the region but there has also been an upsurge in the smaller industries of Chile, Columbia and Venezuela in the last few years as well as films from Ecuador and Uruguay. Cuba remains important as the home of the principal Film Festival in the region in Havana as well as a possible training and education centre for Latin American filmmakers. In many cases, local productions are made as part of co-production deals with Spain. The existence of a large and growing Hispanic market in the United States is also an important factor for many productions. Latin America, alongside East Asia is one of the parts of the world where film audiences as well as the number of local productions are growing. The day will try to distinguish some of the main genres and themes of recent Latin American Cinema as well as discussing Las acacias in detail as an example of a film from a first time filmmaker that impressed festival audiences all around the world. Brazil is the most populous and country in Latin America with the largest GDP but its film industry currently ranks second to Mexico in cinema admissions and behind Argentina in terms of prestige and international profile. Where Brazil does prevail, however, is in TV production as the centre for telenovela (a type of soap opera drama) production for a large domestic and international audience. The Second Mother is co-produced by Globo Filmes, part of Grupo Globo, one of the world’s largest media groups and also home to TV Globo, the originator of the telenovela. Some commentators have suggested that The Second Mother is in some ways a cinematic equivalent of a telenovela. As the name implies a telenovela is a ‘long-form drama’, a novel in the form of a hundred TV episodes. Telenovelas cover a wide range of topics but some are certainly concerned with the after effects of colonialism – social class divisions and inequalities – and others focus on contemporary social issues which interest a mass audience. 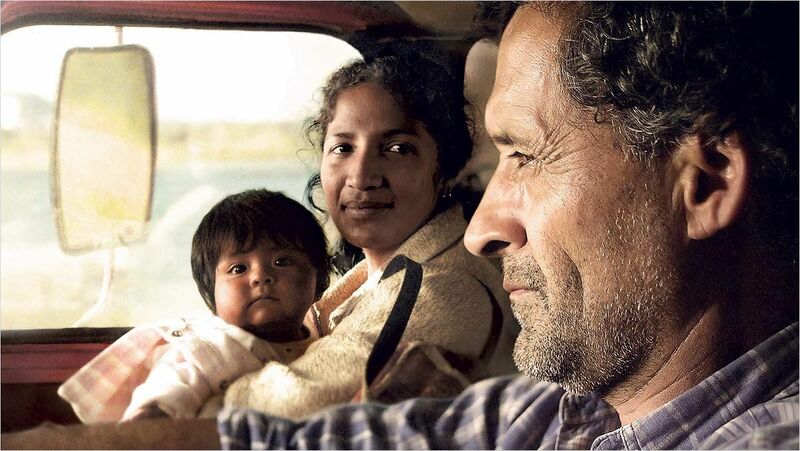 There are several major themes in the ‘New Latin American Cinema’ of the last ten years. Latin America is now the most urbanised region on the planet with 80% of the population living in cities and surrounding urban areas. Given that for many years the image of Brazil on screen often included the rain forests or the Amazon, it is certainly worth considering just how many recent films have focused on urban life. They have focused on the problems of rapid urbanisation and how these have produced shanty towns/favelas alongside modernist architecture and gated communities. Inequalities have helped to create criminal gangs and kidnappings etc. Rapidly growing populations mean housing problems and pressure on services like education. There have been several high profile Latin American films that have focused on wealthy (often very wealthy) families and the role of the maid and/or nanny). The Second Mother is not the film’s original title (which doesn’t easily translate from the Portuguese) but Val can be seen as either the ‘second woman’ who is a mother in the wealthy household or as the woman who acts as the nanny or ‘second mother’ of the teenager in the family, Fabinho. But the title might have another meaning as well, which we’ll discuss after the screening. The maid/nanny figure is a ‘holdover’ from the European colonial period (even though this was 200 years ago). The European élites often appointed a young woman from the ‘native’ population as first a maid then a nanny and eventually as a housekeeper. (Something similar can be found in many ex-British colonial societies such as Hong Kong, Malaysia or India.) In all cases a specific three-sided relationship between mother, nanny and son/daughter develops. In the case of Val the maid/nanny/housekeeper and her own daughter Jéssica, Val respects the traditions associated with working for a rich family but Jessica is a ‘modern’ young woman who rejects class difference – thus creating the film’s narrative drive. It is noticeable that when Jessica first arrives in São Paulo, the Southern hemisphere’s largest conurbation (of 20 million people), she first announces her plan to study architecture and then hears Val’s description of ‘concreting over’ the city she remembers from earlier times. Anna Muylaert first conceived the idea for The Second Mother and outlined a script many years ago, but changed her approach after the election of Dilma Rousseff as Brazilian President in 2011, who has subsequently given support to female filmmakers. The new script, Muylaert says, “reflected the changes and debates that were happening around me. Instead of portraying the nanny’s daughter as hapless and meek – a faulty cliché – I gave her a forceful personality, made her noble and headstrong enough to stand up to the separatist social rules grounded in Brazil’s colonial past”. It is also clear that the film’s focus is very much on the women in both the wealthy family and in Val’s own family. Women have ‘agency’ in this film. The film’s vitality is built on three noticeable elements. First, it offers a quartet of characters portrayed by young actors with both skill and charisma. Second, it utilises a ‘New Wave’ approach derived from directors as diverse as Fellini and Jim Jarmusch – both name-checked by the director. 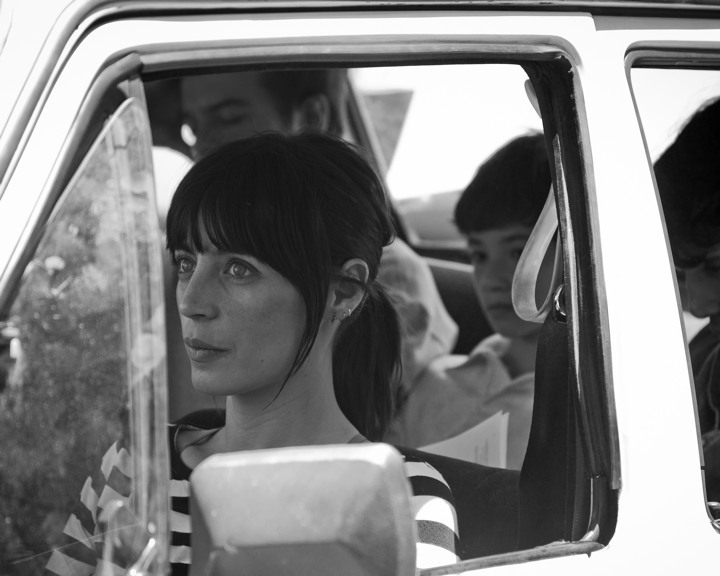 The introduction of Ana (Ilse Salas) reminds us of Anna Karina in a film like Godard’s Bande à part (France 1964). Third, the film uses Mexico City almost as a fifth character with the ‘road movie’ structure taking us through very different districts and allowing a social commentary, sometimes directly through interactions between the characters and people they meet, but sometimes simply through documentary-style observation. Mexico has the most cinema screens in Latin America and the highest number of admissions – but most are for Hollywood films and Mexican films have less than 10% of their own market. However, there are smaller films supported by public funds that travel to international festivals. Güeros is one of these – and there are jokes about this kind of film included in the film’s dialogue. Mexico does not have an ethnic classification in its official census but the majority of the population is of ‘mixed’ heritage – European, African or Asian with indigenous peoples. 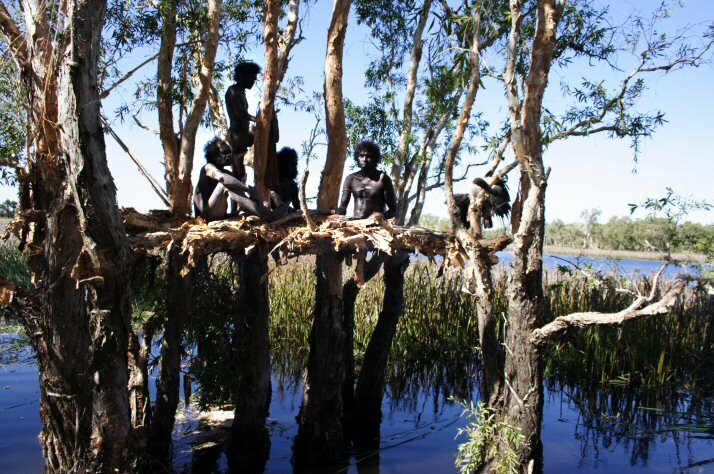 The ‘European’ community is perhaps 10% of the population and the Indigenous peoples (several different peoples) slightly more than 10%. ‘Güeros’ means light-skinned or ‘blonde-haired’ and is used sometimes as a term of abuse in the film. Despite its geographical size, Mexico is an urbanised society. Mexico City has a population of over 8 million but the metropolitan area of ‘Greater Mexico City’ has over 20 million and vies with São Paulo as the biggest urban area in Latin America. Income inequalities are large in the country. References to ‘New Waves’ in film culture often assume the French New Wave of 1958-63 (not a precise period), but there were similar movements across global cinema in the 1960s and again in the decades to follow. There is no standard definition of a New Wave and no necessary standardisation of approaches within a New Wave. As the term implies, New Wave films do something differently compared to earlier films and often, but not always, they are ‘youthful’ in some way, as well as ‘modern’. Having said that, some New Wave films are also backward-looking in celebrating the work of earlier filmmakers through an hommage. The most visible ‘difference’ here is that Ruizpalacios chooses to shoot in black & white and to use the much squarer Academy aspect ratio (1:1.37). This perhaps references 1960s New Wave films with small budgets. The images are also a product of a dynamic camera style, relatively static at first and then rapidly mobile during the road trip. While the nostalgic feel (Güeros is set during a year-long student strike in 1999) might refer to Truffaut and Godard, it also conjures up the early work of Jim Jarmusch in the 1980s – which included road trip structures. The rather surprising mention of Japanese director Ozu Yasijuro (by the director in his press notes) might be a reference to Ozu’s early 1930s comedy films about schoolboys and college students. The figure of the fictitious singer the quartet are looking for was inspired by the story Bob Dylan told about going to visit Woody Guthrie in hospital. (Tomás wears a t-shirt with the legend ‘Don’t Look Back’, the title of D.A. Pennebaker’s 1967 documentary about Dylan’s fateful tour of the UK in 1966.) During the student meeting in the university, the inevitable poster of Che Guevera is seen but there are also references to the Cuban national hero José Marti (1853-1895). Cuba was the centre of the ‘New Latin American Cinema’ in the 1960s. 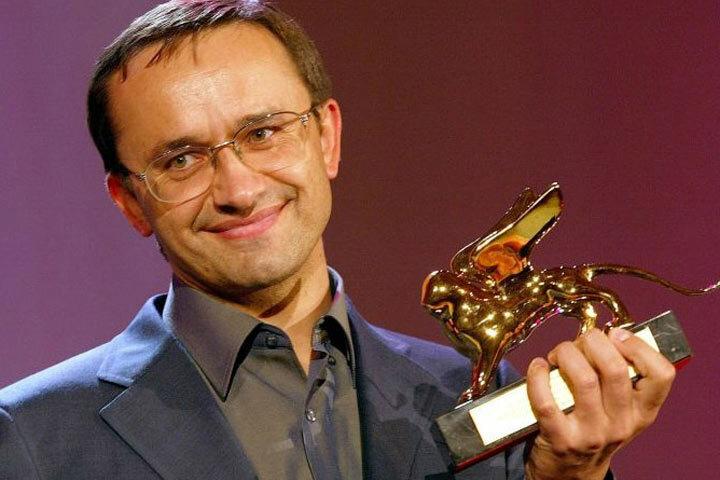 Andrey Zvyagintsev with the Golden Lion he won at Venice in 2003 for his first feture, The Return. Every few years the international film community discovers a new director whose films win prizes at festivals and new fans around the world. Andrey Zvyagintsev first attracted attention with The Return in 2002, followed by The Banishment in 2007 and Elena in 2011. The director’s fourth feature Leviathan was one of the most celebrated and controversial films of 2014 and given the current belligerence of the Russian state, Zvyagintsev’s oblique commentaries on Russian society have begun to attract attention in the news media. 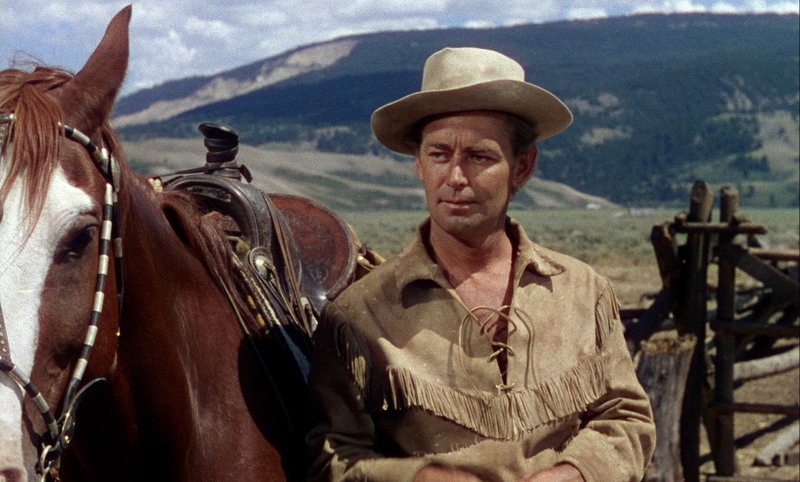 What makes these films so compelling and distinctive? This day school introduced Zvyagintsev as an unusual figure in contemporary cinema who worked for many years as an actor before directing an episode of a television drama series aged 36 in 2000. The move into feature films was rapid and The Return’s award of the Golden Lion in Venice was a reminder of another début win by Tarkovsky’s Ivan’s Childhood in 1962. The stories resonate because of strong characters and universal themes (often with Biblical allusions) – which can also be interpreted in specific Russian contexts. Some fruitful collaborations with talented filmmakers to produce a powerful aesthetic appeal in terms of cinematography, music and sound and use of settings and landscape. A dedication to the ‘art’ of cinema and an obvious debt to several of the giants of art cinema such as Andrei Tarkovsky as well as an affinity with other contemporary art directors such as Nuri Bilge Ceylan. The day included a complete screening of Zvyagintsev’s third feature Elena plus discussion-based sessions with extracts from the other three films and complementary material from Tarkovsky and Ceylan.